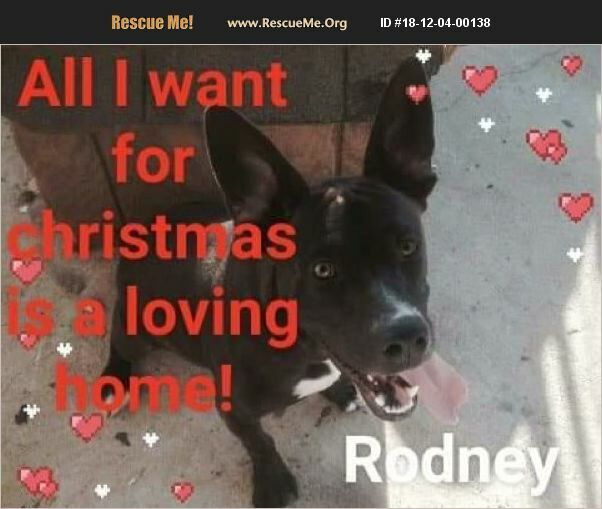 Rodney is a sweet loving boy. He is people and dog friendly. He has been at the rescue since he was a small pup. He is around a year old.